If you know me well enough, facial serum is by far the most important product in my skincare arsenal. Age has something to do with it. And yes, I don’t deny that moi will be hitting the big four-o in a few weeks. But see I’m not a poster child for that proverbial fountain of youth and while I did update my profile pic with “forever young” description, let me tell you this upfront: Age is just a number. Feel young, look young. Engage in a healthy lifestyle, wear sunscreen, and most all feed your skin serum! 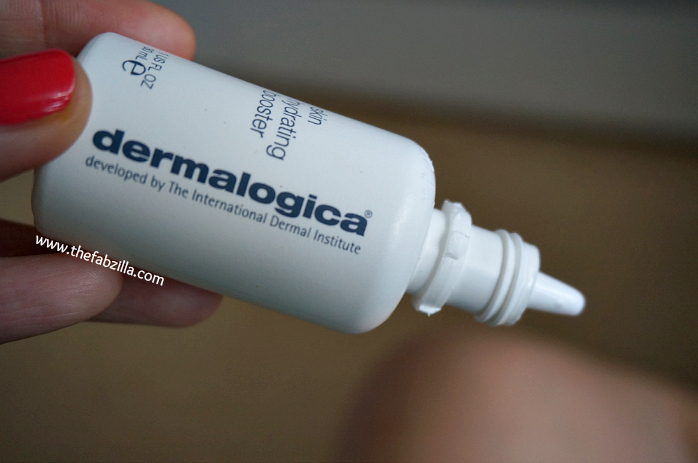 Recently I had the opportunity to try Dermalogica Skin Hydrating Booster ($56, 30ml), a serum with water-like consistency. I say so because most of the serums I have tried in the past were thicker and/or creamier. Ingredients: Water/aqua/eau, Glycerin, Panthenol, Melissa Officinalis Leaf Extract, Sodium Hyaluronate, Hydrolyzed Glycosaminoglycans, Glycolipids, Hydrolyzed Algin, Chlorella Vulgaris Extract, Sea Water, Glyceryl Acrylate/Acrylic Acid Copolymer, PPG-5-Ceteth-20, Phenoxyethanol, Ethylhexylglycerin, Linalool, Lavandula Angustifolia (Lavender) Oil. Hydration and aging. Your science teacher taught you that skin is composed of 60% water. It performs essential functions from transporting nutrients to cells, regulating temperature, to maintaining supple skin. Over time, skin loses its elasticity due to a variety of factors, most notably hormonal-related. Dryness, wrinkles, facial sag, crows feet, uneven pigmentation, the list goes on. While I don’t have wrinkles yet, I need extra reinforcement to combat facial sagging because that’s how I fake my age, haha! Hyaluronic acid and aging. Hyaluronic acid is a common ingredient in anti-aging products because it is a humectant (it seals moisture). It’s the secret to making skin look plump and youthful. Got money for fillers? fine! talk to your doctor about it. 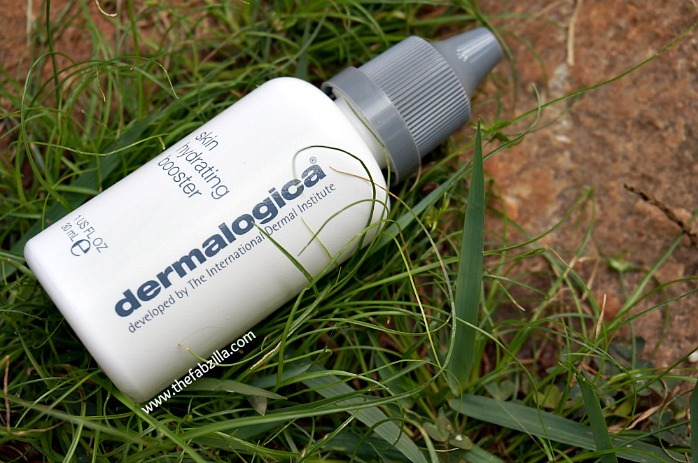 However, if you’re like me who’s contented with topical products, then Dermalogica Skin Hydrating Booster might be your next BFF. This serum is very lightweight and ideal for all skin types. It is fragrance and artificial color-free. It also contains Melissa Officinalis extract a.k.a lemon balm which is good for calming and tightening the skin. Two drops are enough for my face and neck. Combined with a moisturizer, my skin feels supple and hydrated. Now that you know my secret, will you be using hyaluronic acid-based products? chime in! P.S As always, we have different reactions and experiences when it comes to skincare products. What works for you may not for me and vice-versa. If you have found your holy grail, stick to your regimen. I really have found Dermologica products to be quite nice! I have oily skin but it still needs moisture. 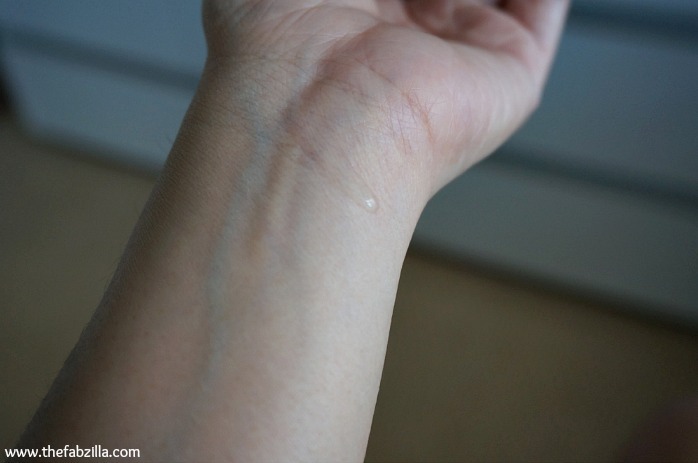 This might be a good alternative for the summer rather than using a regular moisturizer. I have oily skin too but w/ age comes extra requirement for hydration, ugh! hmmmmm. i'm not far from 40 – so this is something i need to look into! I love this stuff. Since I stopped testing I haven't used it every single day, but I do put it on at least 4 times a week. It's definitely made a difference and I'll rebuy for sure! I love this stuff. It's amazing. I love Hada Labo Gokujyun Super Hyaluronic Lotion for hyaluronic acid. Not too expensive, and my face is so much better moisturized than it had been! Hyaluronic acid is even good for us oily-skinned gals. Everyone should try it! Yep! I LOVE THIS STUFF! Sounds great! Dermalogica products are good! This one broke me out 🙁 Bad lavender. Yes, age really IS just a number! Great to hear your thoughts on this product. yep. the hell w/ 40 and above, hahaha! I would love to try a sample of it before sinking in that much money. I'm glad to hear a good recommendation from you. I may need to try this! I've read so many fabulous reviews of this product! I love my bottle and recently found out my boyfriend is addicted to it too! Ok so when I am off my no buy I am buying this! I really love this product. It does what it says. This would be awesome in the winter. I loved this booster! It works surprisingly well for scabs, too. Love hyaluronic acid! Such a fan! I loved this for my dry patches underneath moisturizer!